The mitochondrial theory of aging (MTA) was first proposed in 1972 by Denham Harman, the "father" of the free radical theory of aging (FRTA) (1). The MTA was further refined and developed in 1980 by Jaime Miquel (2). There is such a strong connection between the MTA and the FRTA that they are often discussed together as if the MTA was just one form or specific development of the FRTA (3). Yet the MTA concerns far more than free radicals. The MTA involves three other major biological topics as well: genetics, membranes, and bioenergetics. To understand the MTA, it is first necessary to have an overview of the mitochondrion and its pivotal role in the life of biological organisms - including us. Mitochondria are organelles ("little organs") found in virtually all cells in the human, (and animal) body except red blood cells. There may be from 20 to 2500 per cell (4). Mitochondria are the energy generators of the cell. They typically produce 90% or more of all the ATP bioenergy made in the body (4). The production of ATP within the mitochondria occurs from the interaction of two metabolic cycles - the tricarboxylic acid (TCA) cycle, (also called the "Krebs" or "citric acid" cycle) and the oxidative phosphorylation (OXPHOS) electron transport chain (ETC) (4). The TCA cycle occurs in the matrix of the mitochondria, while the ETC is a series of five multi-enzyme complexes which form an integral part of the inner mitochondrial membrane (4). (See diagram 1.) Products of the TCA cycle - NADH, FADH2, succinate - are connected to the ETC to activate the first two enzyme complexes (I and II), which transfer electrons down the chain, eventually combining oxygen and hydrogen to make water, and producing ATP at complex II (ATP synthase) (4). The mitochondrion is essential for life. It generates the energy (from the food we eat) that powers cellular activity, muscular activity, heart and brain activity, breathing, walking, talking etc. Without ATP there is no life, and without well-functioning mitochondria, there is (almost) no ATP. One of the unique features of mitochondria is that they contain their own DNA - mitochondrial DNA (mtDNA). All the other DNA of a cell is found in the nucleus (nDNA). The mitochondrial DN is a closed circular molecule. It encodes 13 ETC enzyme proteins, 2 ribosomal RNAs, and 22 transfer RNAs, all needed to form the mitochondrial ETC protein synthesis system (5). The remainder of the ETC enzymes and other mitochondrial components are encoded by nDNA. Each mitochondrion contains 5 to 10 mtDNA molecules (6). A mitochondrion reproduces itself by first increasing in size through integration of newly synthesized molecules, then eventually dividing to form two mitochondria (7). The very feature that makes mitochondria unique among the various cell organelles - having their own DNA - gives rise to a major problem. nDNA is protected by histone proteins and various repair enzymes, which minimizes damage to nDNA from free radicals/oxidants. mtDNA has no histone protection or significant enzymes repair systems to offer free radical protection (6). Therefore, mtDNA is far more subject to free radical damage than nDNA. The commonest form of free radical damage to mtDNA molecules is the production of 80HdG, an oxidized guanine base. Even in young (3 month old) rats, the level of 80HdG is already 16 times higher in mtDNA than nDNA (6). Mecocci and colleagues investigated ten normal humans aged 42 to 97 years, checking three brain regions. A 10-fold increase in 80HdG in mtDNA as compared to nDNA was found in the entire group of samples, with a 15-fold increase in persons over 70 (6). And, high 80HdG levels in mtDNA is strongly correlated with mtDNA deletions (damage) (6). As mtDNA damage accumulates over the lifetime of an individual, the functionality of the ETC enzyme complexes that produce ATP, and are encoded for (in part) by mtDNA, decreases dramatically and gradually produces a cellular energy crisis. Linnane and associates found that in a 90 year old man, only 5% of the total mtDNA from muscle tissue was still in the form of full-length, normal mtDNA (5). Along with this cumulative mtDNA damage, there was a large percentage of cells lacking cytochrome oxidase (COX), complex IV of the ETC (5). And 3 of 13 proteins of complex IV are encoded for by mtDNA, so the low COX activity is hardly surprising. To make matters worse, the mitochondrial ETC is the main source of cellular free radicals/oxidants, especially superoxide radical (SOR), hydrogen peroxide (H2O2) and hydroxyl radical (8). [See my Free Radical Theory of Aging article in this issue for more detail on free radicals.] mtDNA is at least transiently attached to the inner mitochondrial membrane, where the ETC is located and from which free radicals/oxidants are continuously released. It is generally estimated that 1-2% of oxygen consumed by mitochondria (and they consume 85% of all body oxygen) in ETC activity is converted to SOR (8). Much of this SOR is converted by mitochondrial superoxide dismutase (SOD) to H2O2 (9). Yet H2O2 causes scissions (breaks) and cross linking of DNA (9). (Ed.- See Dr. Kyriazis article in the Spring 2003 Anti-Aging Bulletin about the problems associated with cross-linking). Thus, in the very act of doing its job-making ATP - the ETC inadvertently damages mtDNA, on which the viability of current and future mitochondria depends. As Linnane notes: "As tissues age, mtDNA mutations accumulate in individual cells; eventually some cells will reach the point at which the ability to make the mtDNA - encodes components of the mitochondrial energy generation system is seriously impaired. If mtDNA mutations occur in a significant number of cells in a tissue, the function of that tissue will be comprised and consequently will contribute to such age-associated pathologies as skeletal muscular and neurological degeneration, heart failure, strokes, ... other diseases [and death!]." (5) That, in brief, is the MTA. One area of evidence for MTA comes from the morphological (structural) differences between young and old mitochondria. Studies with both humans (9) and rats (7, 11) show a similar picture. In young organisms, there are a large number of small mitochondria that provide needed ATP. In aged rats and humans, however, there are a smaller number of large mitochondria. The total volume of the cell that consists of mitochondria, (up to 20% of cell volume), remains roughly the same in young and old rats/humans. These larger mitochondria are not as bio-energetically efficient as the youthful, normal, small mitochondria (7, 11). A key aspect of the ETC is the mitochondrial membrane potential, which is produced by the electron and proton pumping activity of the ETC. As Sastre and colleagues note: "... mitochondrial size increases and mitochondrial membrane potential decreases with age in brain and liver. This may reduce the energy supply in old cells since the mitochondrial membrane potential is the driving force for ATP synthesis." (12) Reviewing the evidence on the large size of aged mitochondria, Bertoni Freddari et al remark that in old organisms "... the genesis of new mitochondria appears to stop at the intermediate step of accretion in size of the organelles, but it is not followed by their division [due to mtDNA damage]." (7) Hence the fewer but longer mitochondria of old organisms. Linnane and colleagues compared skeletal muscle tissue samples from a 5 year old and 90 year old human. Using the extra-long PCR technique, they analyzed the samples for mtDNA content. They also used a staining technique to measure COX (ETC complex IV) activity in the muscle cells. They found that less than 5% of the total mtDNA from the 90 year old was still in the form of full-length mtDNA, while the bulk of mtDNA molecules was made up of deletion products and oversized mtDNA rearrangements - i.e. seriously mutated mtDNA. The 5 year olds mtDNA was almost entirely normal mtDNA. There were only rare COX-deficient muscle fibers in the 5 year old, but COX-deficient muscle fibers were common in the 90 year old. They conclude that "This result establishes the relationship between age-associated accumulation of mtDNA mutation and COX activity and provides compelling support for the hypothesis of mtDNA mutation-driven bioenergy degradation as a key feature of the aging process...." (5). In a review of the MTA, Barja reports that "Many different laboratories have consistently shown that mtDNA mutations (deletions, point mutations, gross DNA rearrangements, etc.) increase with age in mammals, specially in post-mitotic highly aerobic tissues [i.e. brain, heart, skeletal muscle] ... and affect up to 50% of the mtDNA molecules in the mtDNA control region of fibroblasts from old humans [; the mtDNA control region is essential for mitochondrial reproduction]. Accumulation of mtDNA mutations with age have been reported also in the brain, heart, or skeletal muscle of three mammalian species with widely different MLSP [maximum life span potentials], mice (3.5 years), chimpanzees (59 years), and humans (122 years)...." (13) Barja also notes that 8-oxodG, a free radical-damaged DNA base, can cause DNA mutation during DNA replication. Levels of 8-oxodG were measured in the heart and brain mtDNA and nDNA of eight different mammal species differing 13-fold in MLSP. The results indicated that 8-oxodG levels in both organs were inversely correlated with MLSP, while there was no correlation between 8-oxodG in nDNA and MLSP (13). 8-oxodG is found four-nine-fold higher in mtDNA compared to nDNA in eight mammal and three bird species so far studied (13). A comparison of three bird species to rats and mice also provides support for the MTA. Pigeons have a body size and basal metabolism similar to rats. Yet pigeons have a nine-fold higher MLSP (35 years) than rats (4 years). It was discovered that pigeons had significantly less mitochondrial free radical/oxidant generation than rats in all organs studied-brain, liver, lung, heart and kidney (13). It was also found that parakeets (21 years MLSP), and canaries (24 years MLSP) have similar body size and oxygen consumption to mice (3.5 years MLSP), yet also have much lower mitochondrial oxidant generation (13). Less mitochondrial oxidant generation = less mtDNA damage, and less mtDNA damage = more normal mitochondrial bioenergetics throughout a longer life. Glutathione (GSH) plays a key role in protecting mitochondria and mtDNA from oxidative damage. GSH protects against mtDNA-damaging lipid peroxidation in the inner mitochondrial membrane, where the ETC is located (14). GSH also breaks down H2O2, another oxidant normally produced within mitochondria and which damages mtDNA (9). Unfortunately, "Glutathione oxidation increases with age in mitochondria from liver, kidney, and brain of rats. It is striking that this increase was much higher in mitochondria than in whole cells." (12) And mitochondria are at special risk with regard to GSH, because they lack the ability to synthesize GSH or to rid themselves of oxidized glutathione (GSS) (10). Sastre and colleagues found that GSSG levels doubled in old rats compared to young rats, while GSH levels dropped 40% and H2O2 generation increased 22% (11). GSH levels and peroxide production may also explain the differential in life spans that occurs between males and females in many species, including humans and rats and mice. Brain and liver mitochondria from male rats have higher H2O2 production than females, yet GSH levels in mitochondria of male rats were lower than females (12). Thus females should suffer less mtDNA damage, with consequent slower aging. In Harman's original MTA (1), he assumed that all cell types were equally subject to mtDNA/mitochondrial damage with aging. Miquel's reformulation of the MTA (2,9) maintains that it is primarily to "fixed post-mitotic" cells that MTA applies. Fixed post mitotic cells are those that no longer divide after early childhood, and thus are irreplaceable. They are primarily brain, heart, and skeletal muscle cells. Yet the finding in the Yen study that liver mitochondrial energy production drops sharply with age seems to indicate that at least some mitotic, (dividing) cells also suffer aging mtDNA/mitochondrial damage, since liver cells are able to divide and replicate throughout life. The preceding evidence for the MTA is just a brief "snapshot" of the vast array of evidence accumulated in the past 30 years that supports the MTA. In preparing this article I studied far more scientific papers on the MTA than I can refer to in this brief article. Having looked carefully into the MTA, I am personally convinced that the MTA represents the single most important cause of aging and age-related diseases. Fortunately, there are various practical measures that we can take to minimize or reduce mtDNA/mitochondrial damage and aging. Caloric restriction is the best-proven anti-aging regimen, and also significantly reduces mtDNA/mitochondrial oxidant damage (13). Please see the "caloric restriction" section of my accompanying article on the free radical theory of aging for more detail. What follows are some of the nutrients and anti-aging drugs that will combat mtDNA/mitochondrial oxidative damage, and thus aging itself. Most of the ATP made by mitochondria is produced by the ETC (16). Yet the ETC requires three products from the TCA cycle - NADH, succinate, and FADH2 - to initiate ETC oxidative phosphorylation with ETC complexes I and II (16). NADH is the reduced coenzyme form of vitamin B3, while FADH2 is the reduced coenzyme form of vitamin B2. A glance at diagram 2 will show the essentiality of B vitamins for efficient TCA action. It is in the coenzyme form that B vitamins serve to activate TCA cycle enzymes, as well as begin the activity of ETC complex I and II. Ames and colleagues point out that "High levels of vitamins have been used successfully to treat many human genetic diseases.... The therapeutic vitamin regimens work by increasing intracellular coenzyme concentrations, stimulating a defective enzyme...." (10). Ames et al believe that during aging, oxidation of proteins deforms them and "...thus decreases the affinity of many enzymes for their substrates or coenzymes." (10) Thus, through the law of mass action, supplying higher-than-RD levels of B vitamins many increase co-enzyme binding to the (oxidant damaged) enzymes, thereby increasing age/oxidant damaged enzyme activity. 10 -100mg B1 and B2, 25 -100mg B6, 50 - 250mg B3, 50 - 200mg B5 (pantothenic acid), 300 - 10,000 mcg biotin, and 100 - 1000 mcg B12 may help stimulate TCA activity, with consequent increase in ETC ATP production. Acetyl-L-Carnitine (ALCAR) is a natural constituent of the inner mitochondrial membrane, especially in heart, brain, and muscle (8,10), where it serves as a precursor for acetyl CoA, the start of TCA (8). ALCAR shifts energy production in the aging brain from glycolytic (sugar-burning in the cytosol) to mitochondrial pathways (8). Chronic feeding of ALCAR to rats reduces lipofuscin accumulation in prefrontal cortex and hippocampus neurons in rats (8), and lipofuscin is in large part the waste product of mitochondrial membrane debris (9). Feeding ALCAR to rats completely reverses the age-related decrease in the critical membrane phospholipid cardiolipin (CDL). CDL is essential for the proper structural positioning and functioning of key ETC membrane components, including cytochrome oxidase (complex IV), the adenine nucleotide translocator (necessary to send ATP from the mitochondria to the cell where it is needed), ATP synthase (complex V, which converts ADP to ATP), the phosphate transporter, and more (8). When ALCAR is combined with R-lipoic acid (LA), there is a profound regeneration of aging rats. "ALCAR + LA partially reversed the age-related decline in average mitochondrial membrane potential [which drives ATP production] and significantly increased... hepatocellular [liver cell] O2 consumption, indicating that mitochondrial-supported cellular metabolism was markedly improved by this feeding regimen. ALCAR + LA also increased ambulatory [movement] activity in both young and old rats; moreover, the improvement was significantly greater in old rats... and also greater when compared with old rats fed ALCAR or LA alone.... The hepatocellular ascorbate [vitamin C] level markedly declined with age... but was restored to the level seen in young rats when ALCAR + LA was given. The level of malondialdehyde [a toxic mitochondrial lipid oxidant product], which was significantly higher... in old versus young rats, also declined after ALCAR + LA supplementation... [to the level] of young unsupplemented rats.... [M]any of the cellular effects of caloric restriction, which does increase life span, are also affected [similarly] by ALCAR + LA supplementation." (17). A daily dosage of 750-1500mg ALCAR twice daily plus 50mg - 100mg R-lipoic acid two or three times daily thus seems a prudent way to reverse mitochondrial aging. "Hydergine ® is now currently administered as a metabolic enhancer able to improve several aspects of the neuronal metabolism and neurotransmitter activity. It is widely documented that this [drug] increases stores of ATP, stabilizes the CAMP content of the nerve cells, improves brain glucose utilization [for ATP production] and, in turn, cerebral microcirculation." (7). Based on these facts about Hydergine ® (HYD), Bertoni-Freddari and colleagues used HYD to see if they could alter the morphology of aging mitochondria in rats. They found that with aging, there was no significant change in the cellular volume of mitochondria, but that there were fewer mitochondria, and these of large size, compared to large numbers of small mitochondria in young and adult rats. When they fed HYD to old rats, they were able to significantly reverse this trend. They were able to reduce by 45% the number of extremely large, unable to divide, mitochondria in old rats, to levels of those close to young and adult rats (7). They were also able to increase the numerical density of mitochondria in neurons of old rats to a level close to that of young rats, while HYD reduced the mean size of aged rat mitochondria to a number similar to that of adult rats, and smaller than mean size of young rat mitochondria (7). They conclude that chronic HYD treatment is able to induce smaller, more numerous brain synaptic mitochondria in old rats, presumably leading to increased mitochondrial energy production as well. For humans, a daily dose of 6 - 9mg HYD has been shown safe and is widely used in Europe. Rejuvenation of aging brain synaptic mitochondria may be one more indication for Hydergine ® use. McCarty notes that nucleotides such as ATP are quickly converted into adenosine by blood phosphatase enzymes when given by injection or sublingually. Adenosine/ATP is digested when swallowed. But since cells can absorb blood-carried adenosine and convert it to AMP and ADP, the precursors of ATP, sublingual ATP supplements promise a "short cut" way to quickly raise cellular ATP levels. Indeed, when ADP levels build up inside cells, this activates the mitochondrial state 3 energy metabolism mentioned earlier, which activates the ETC into "higher gear" ATP production (19). This is why Lund et al were able to increase (in vitro) liver cell ATP 3-fold in 60 minutes by adding 0.5 mM adenosine (20). Since German studies have found even 2 - 3mg sublingual adenosine effective (18), a sublingual dose of 5mg - 10mg ATP daily should be useful to stimulate age-slowing mitochondrial energy production. (Ed.- Bio-Pro( is a sublingual liquid that uniquely contains 2mg ATP and 2mg of NADH per spray). NADH is the reduced (high energy) coenzyme form of vitamin B3 (21). It is also the product of the TCA cycle that initiates ATP production by the ETC through activation of ETC enzyme complex I (16). In a small scale double blind study with chronic fatigue syndrome patients, Forsythe and colleagues found a significant improvement in energy levels among patients receiving 10mg NADH daily for four weeks (31% improved) versus placebo (8% improved). "Further, 18 of 25 (72%) study patients thus far enrolled in a longer open label follow-up study reported significant improvement in... energy levels." (22) NADH has also shown impressive improvement in double-blind studies with Parkinson's patients at a German clinic (23). Mitochondrial oxidative damage and decreased function is a key factor in Parkinson's disease (24). A sublingual form of NADH may be optimal, since some swallowed NADH might be broken down by digestion, while sublingual NADH will penetrate right into the bloodstream. 5mg - 10mg NADH is a typical therapeutic dose. (Ed.- Bio-Pro( is a sublingual liquid that uniquely contains 2mg ATP and 2mg of NADH per spray). CoQ1O is a key player in the mitochondrial ETC. CoQ1O receives electrons from ETC complex I (NADH dehydrogenase) and complex II (succinate dehydrogenase) and passes them on to complex III (25). "It has been reported, that the normal level of CoQ in the mitochondrial membrane is below that required for kinetic saturation [maximum activity] of complex I. This finding indicates strongly that CoQ might be a rate-limiting component in the respiratory chain [ETC], especially in the mitochondria of injured tissues." (26) CoQ1O is also a powerful antioxidant the protects the ETC from the oxidants they produce (27). "The biosynthesis of CoQ is particularly complex...." (27). That the biosynthesis of CoQ1O in aging tissues is inadequate is obvious from the fact that the CoQ10 content in hearts from humans 77 - 81 years old is only 43% of that present in 19 - 21 year old hearts (26). In a mouse life span CoQ study, at month 39 50% of the CoQ mice were still alive, versus only 25% of the controls. Average life span for controls was about 31 months, versus 37 months for the CoQ mice. Even more noticeable was the far greater activity level in the CoQ mice - an obvious reversal of the age-typical drop in the ratio of state 3 (energized): state 4 (idling) mitochondrial energy production (26). Idebenone, an analogue of CoQ1o, is also called hydroxydecyl Q. Linnane and associates used AZT to induce mitochondrial damage in rats. Some of AZT rats were also fed decyl Q, a close analogue of Idebenone. The AZT mitochondrially damaged rats had a dramatic drop in muscle force compared to untreated controls. However, decyl Q "...restored muscle function and produced fatigue profiles similar to those of [AZT-] untreated rats...." (5). Latini et al reported that "A stimulation of respiratory and phosphorylating [i.e. ETC ATP production] has been observed in mitochondria prepared from rats treated with Idebenone.... Our experiments suggest that Idebenone, by increasing brain adenosine levels and nucleotide phosphorylation [i.e. ATP production], may be beneficial...." (28). Thus Idebenone may be a useful adjunct to CoQ10 or mitochondrial energy enhancement. 100mg CoQ10 plus 90mg Idebenone is a useful basic dose. Miquel, the "co-father" of the MTA, believes deprenyl is a useful modality to increase life span. He states that "...deprenyl attenuates the progressive degeneration of dopaminergic neurons in the nigrostriatum during aging... by mehanisms including a specific protection of mitochondria against respiratory chain-dependent oxygen stress. This is probably due to the fact that, in addition to its direct antioxidant action, deprenyl enhances the activity of mitochondria-protecting SoD and catalase, increases the expression of glutathione peroxidase, and preserves the mitochondrial membrane potential [which is the driving force for ATP production (12)]" (24). For further comments on deprenyl, see my article on the FRTA in this issue. 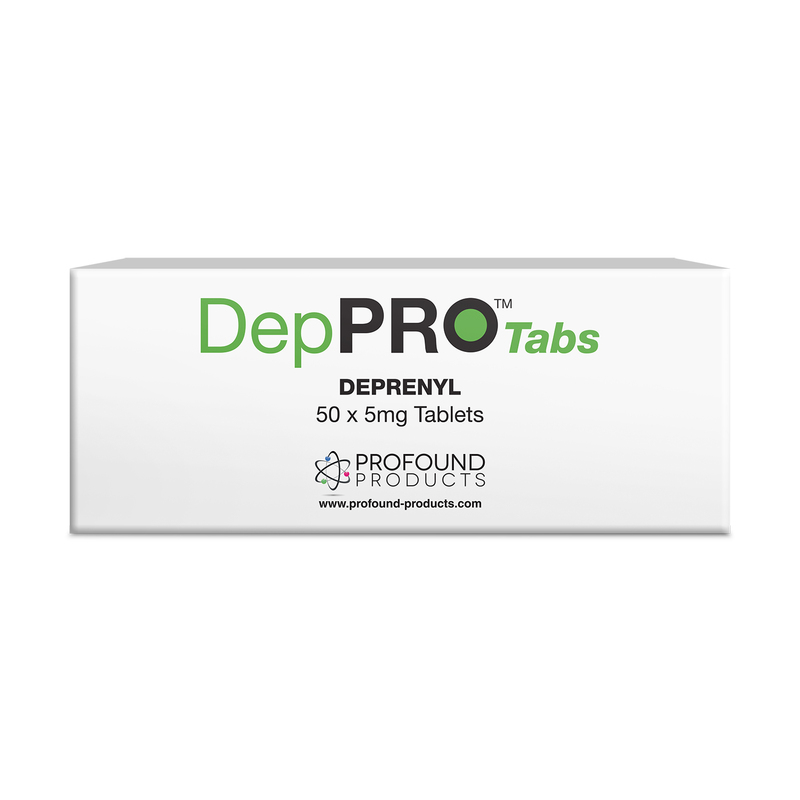 The standard "life extension" dose of deprenyl is 1.5 - 2mg daily (10 - 15mg weekly). (N-acetyl cysteine (NAC) is an acetylated form of the sulfur amino acid cysteine, which is naturally formed in the human body (29). NAC is much more stable than cysteine. In a test comparing NAC to cysteine and two cysteine testers, only 16% of NAC was oxidized in stomach juice compared to 75 - 100% for the other cysteines (30). NAC is a highly effective precursor of the critical mitochondrial antioxidant glutathione (GSH) (31). NAC also reacts directly to neutralize the toxic mitochondrially - produced oxidants superoxide radical, H2O2 and hydroxyl radical (31). Since "[m]itochondrial reduced glutathione (GSH) plays a key role in the protection against damage to mtDNA" (12), a natural precursor/stimulant of GSH such as NAC should offer mtDNA protection. Mitochondria rely on cytosolic GSH production, unable to make their own (8), and NAC promotes cytosolic GSH regeneration (31). MTA "co-father" Jaime Miquel and colleagues performed an experiment with young (24 week old) and old (72 week old) mice. Their experimental results showed "...a decrease in all enzymatic oxidative phosphorylation complexes [I - V] in the liver mitochondria of control senescent mice as compared to control adult animals. Treatment of mice with N-acetylcysteine resulted in a significant increase in complex I, IV and V [ATP synthase] specific activities in hepatic mitochondria as compared to non-treated controls of the same age." (31) These results are especially interesting in light of the fact that mtDNA codes for 7 of the 40-plus polypeptides of ETC complex I, 3 of 13 for complex IV, and 2 of 17 for complex V (25). The mtDNA encodes for none of complex II polypeptides and only 1 of 11 for complex III (25). It would thus seem that NAC is probably regenerating ETC activity in aged mice through mtDNA protection. A daily dose of 600 - 1200mg NAC should be a safe and useful part of a mitochondrial protection program, taken with food. Slow-release NAC tablets have the poorest bioavailability (29), so avoid these. Mitochondrial decay with aging is a basic fact of life. It is a major contributor to aging and ultimately death. Thus, the earlier in life one starts an anti-mitochondrial decay program, such as the one outlined in this article, the greater the chance to postpone until a ripe old age the mitochondrial grim reaper. Yet many of the experiments reported in this article indicate it's never too late to start (at least while you're still alive!). The vitamin E and C, selenium, centrophenoxine, and carnosine regimens discussed in my FRTA article in this issue should also be useful parts of an anti-mitochondrial decay program. Harman, D. (1972) "The biological clock: the mitochondria?" J Am Geriatr Soc 20: 145-47. Miquel, J. et al (1980) "Mitochondrial role in cell aging" Exp Gerontal 15: 579-91. Beckman, K. & Ames, B. (1998) "The free radical theory of aging matures" Physiol Rev 78: 548-81. Pike, R. & Brown, M. Nutrition: An Integrated Approach NYC: Macmillan. 1984. Pp. 450-84. Linnane, A. et al (1998) "The university of bioenergetic disease" Ann NY Acad Sci 854: 202-13. Richter, C. (1995) "Oxidative damage to mitochondrial DNA and its relationship to ageing" Int J Biochem Cell Biol 27: 647-53. Bertoni-Freddari, C. et al (1994) "Morphological alterations of synaptic mitochondria during aging" Ann NY Acad Sci 717: 137-49. Shigenaga, M. et al (1994) "Oxidative damage and mitochondrial decay in aging" Proc Natl Acad Sci USA 91: 10771-78. Miquel, J. (1992) "An update on the mitochondrial - DNA mutation hypothesis of cell aging" Mutat Res 275: 209-16. Liu, J. et al (2002) "Delaying brain mitochondrial decay and aging with mitochondrial antioxidants and metabolites" Ann NY Acad Sci 959: 133-66. Sastre, J. et al (1998) "A ginkgo biloba extract (Egb761) prevents mitochondrial aging by protecting against oxidative stress" Free Rad Biol Med 24: 298-304. Barja, G. (2002) "Endogenous oxidative stress: relationship to aging, longevity and caloric restriction" Ageing Res Rev 1: 397-411. Hruszkewycz, A. (1992) "Lipid peroxidation and mtDNA degeneration. A hypothesis " Mutat Res 275: 243-48. Yen, T.C. et al (1989) "Liver mitochondrial respiratory functions decline with age" Biochem Biophys Res Comm 165: 994-1003. Champe, P. & Harvey, R. Lippincott's Illustrated Reviews: Biochemistry. Philadelphia: J.B. Lippincott. 1994. Pp. 66-73, 105-09. Hagen, T. et al (2002) "Feeding acetyl-l-carnitine and lipoic acid to old rats significantly improves metabolic function while decreasing oxidative stress" Proc Natl Acad Sci USA 99: 1870-75. McCarty, M. (1981) "Toward a 'bio-energy supplement' - a prototype for functional orthomolecular supplementation" Med Hypoth 7: 515-38. Mathews, C. & van Holde, K. Biochemistry. Redwood City CA: Benjamin/Cummings Pub Co. 1990. Pp. 83-5. Lund, P. et al (1975) "Effect of adenosine on the adenine nucleotide content and metabolism of hepatocytes" Biochem J. 152: 593-99. Pike & Brown, op. cit., p.99. Forsyth, L. et al (1999) "Therapeutic effects of oral NADH on the symptoms of patients with chronic fatigue syndrome" Ann Allergy Asthma Immunol 82: 185-91. Birkmayer, G. NADH, The Energizing Coenzyme. New Canaan: Keats. 1998. Miquel, J. (2002) "Can antioxidant diet supplementation protect against age-related mitochondrial damage?" Ann NY Acad Sci 959: 508-16. Wallace, D. et al (1998) "Mitochondrial biology, degenerative diseases and aging" BioFactors 7: 187-90. Bliznakov,E. (1999) "Aging, mitochondria and coenzyme Q10: the neglected relationship" Biochimie 81: 1131-32. Lenaz, G. et al (2000) "Mitochondrial bioenergetics in aging" Biochim Biophys Acta 1459: 397-404. Latini, S. et al (1993) "Effect of Idebenone on adenosine outflow and adenine nucleotide level in hippocampal slices under ischemia-like conditions" Eur J Pharmacol 249: 65-70. Borgström, L. et al (1986) "Pharmacokinetics of N-acetylcysteine in man" Eur J Clin Pharmacol 31: 217-22. Bonahomi, L. & Gazzaniga, A. (1980) "Toxicological, pharmacokinetic and metabolic studies on acetylcysteine" Eur J Respir Dis 61 (Suppl 111): 45 - 51. Miquel, J. et al (1995) "N-acetylcysteine protects against age-related decline of oxidative phosphorylation in liver mitochondria" Eur J Pharmacol 292: 333-35.